If you come to Vietnam without trying “xoi”, it will be the biggest unfortunate. 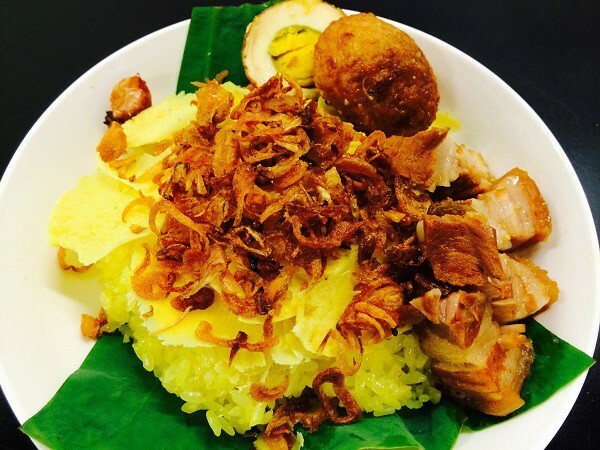 If you have not had a chance to enjoy xôi, you cannot imagine how many variants this dish made from sticky rice has. 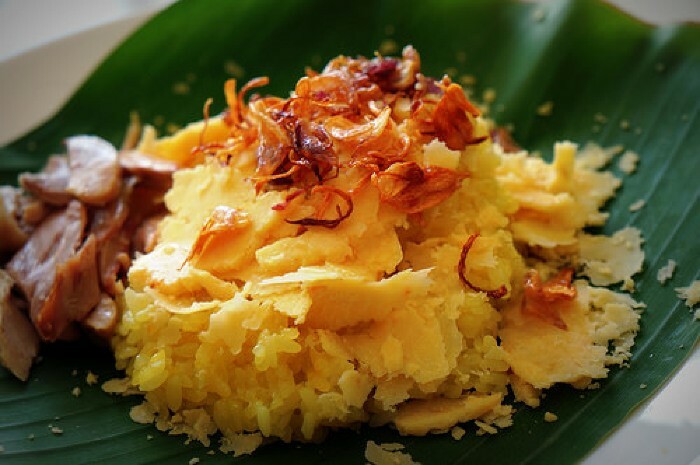 Being one of the most common dishes in Vietnam, sticky rice dishes can easily be found anywhere from the simple roadside vendors to high-class traditional restaurants. However, when eating in an air-conditioned room and enjoying professional services, “xoi” is not “xoi” anymore. That means that after all, “xoi” is still street food and people should buy and enjoy it on the street! 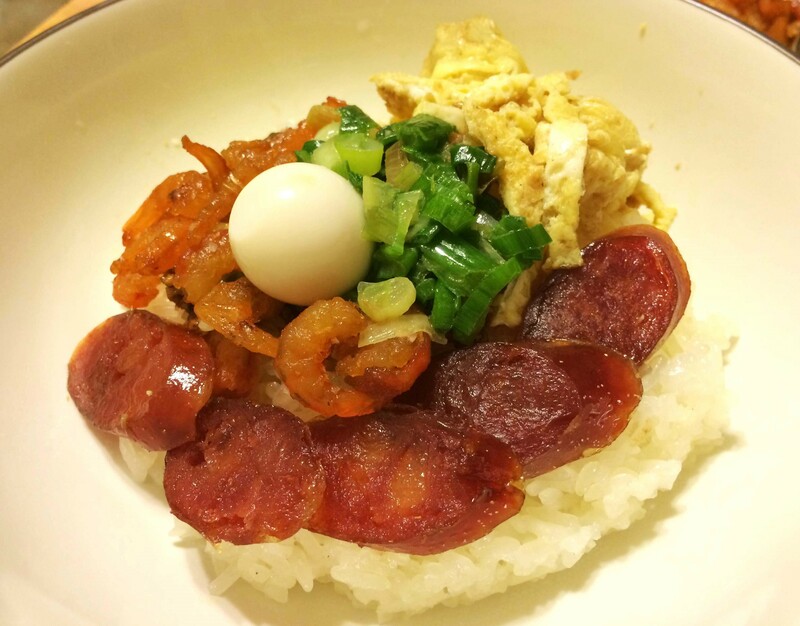 Although it is possible to eat xoi – Vietnamese glutinous rice dish without any kinds of add-ons, to enhance the flavor, it can be eaten with a savoury dish such as fried Chinese sausage, boiled chicken or braised pork. These side dishes can range from things as simple as coconut pieces or sesame seeds to as complicated dish as cha gio or cha com. 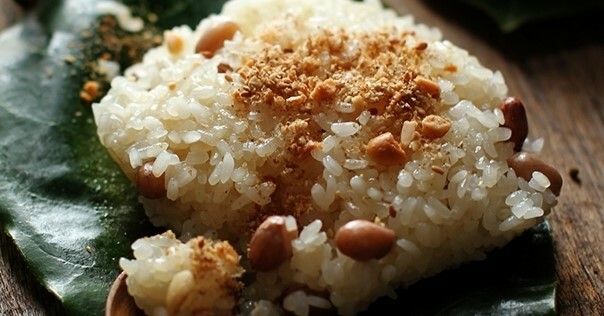 Especially those that do not involve oil in the making, many types of sticky rice go well with muoi vung – or salted sesame seeds. The sticky starchy feel of most xoi is stunningly complemented with the high level of the healthy fat in sesame seeds and peanut pieces. To combine with Xoi lac (Xoi with peanut), Xoi gac (Xoi with special gấc fruit) and Xoi dau xanh (Xoi with mung bean), muoi vung is one of the great choices. Only after Muoi Vung, meat strings or ruoc/ cha bong are also very popular. Ruoc or cha bong does not ring a meaty taste like the traditional dish that has chicken or pork meat although it is not a choice for vegetarian. To balance the taste of all kinds of bean, ruoc which is lighter in flavor is an ideal selection to be served well with Xoi dau den (xoi with black bean) or xoi dau xanh (xoi with mung bean). 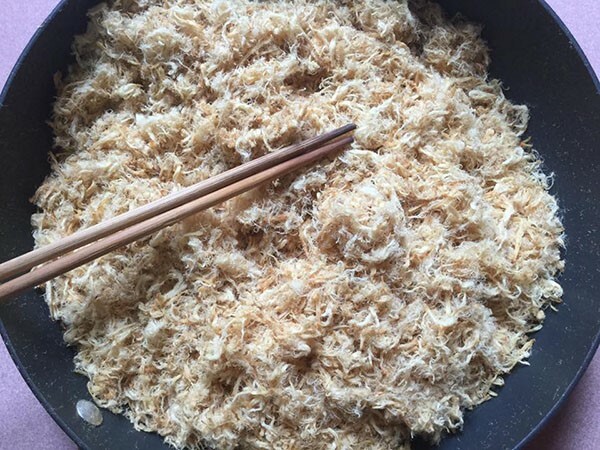 Often found in Xoi xeo or Xoi ngo only Hành phi is fried shredded scallions. Not only adding new attractive color to the glossy yellow xoi, the fatty and crispy feel also contrast and thus makes everybody enjoy the dish without stopping. Sweet and rather strong in flavor, Chinese red sausage is different from any other sausage types in the world. Although coming in different shapes, lạp xưởng mostly are thin when being served with Xoi. They often slice lạp xưởng into thin pieces to serve it with xôi. Lạp xưởng, like thịt kho tàu, is more often served with plain rice.